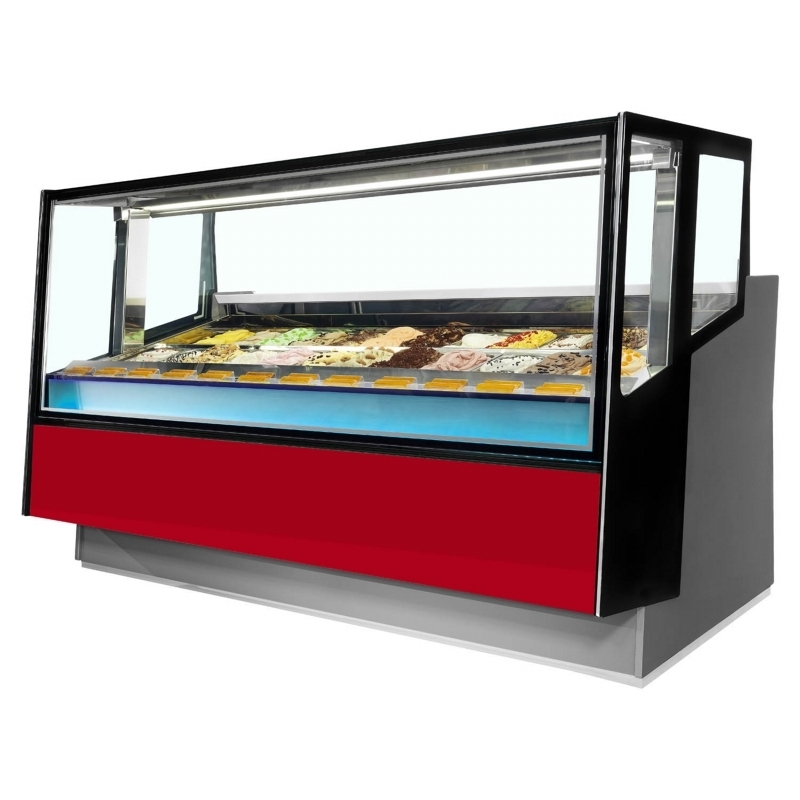 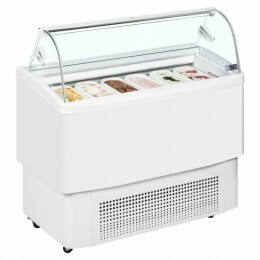 Ice Cream displays can be anything from a chest freezer with a glass lid or frame surrounding the cabinet to a very sophisticated ventilated curved or straight glass triple tiered display made bespoke to the customer’s requirements. 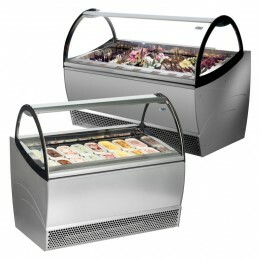 Large custom built displays often have remote refrigeration. 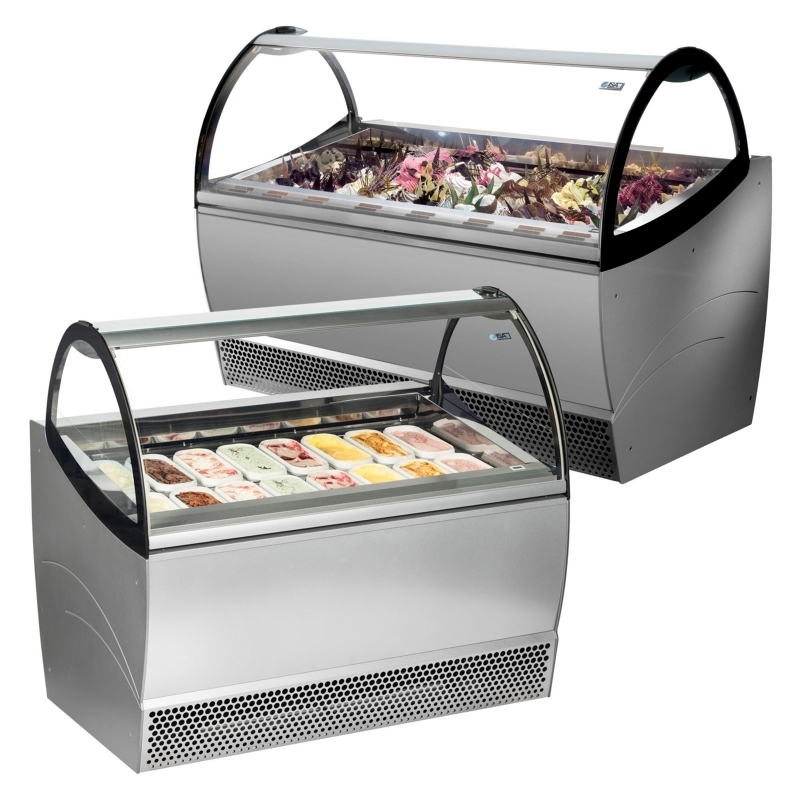 Smaller displays range from 1.2m to 2.5m in length and use Napoli containers as standard. As ice cream is such a delicate product and needs to be kept at the right temperatures, we suggest you thoroughly research before purchasing. 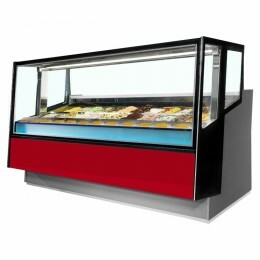 We are available to discuss your requirements and have extensive experience in this field.